17 entries were received this year with one overall winner and 4 commendations. 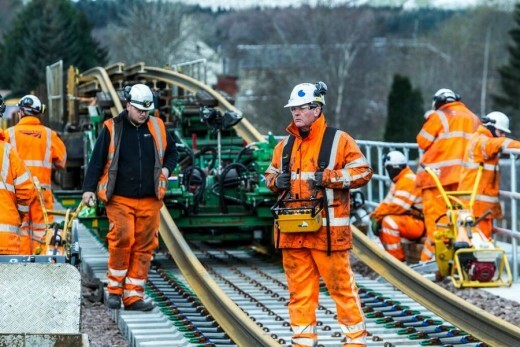 This new line, the longest new domestic rail line to be built in the UK for over 100 years, is reconnecting the Borders to the national rail network and bringing investment and housing back to areas that have suffered population loss. 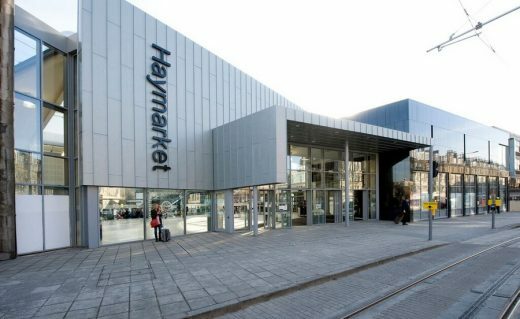 It has seven new stations, 61km of track including 3 passing loops and capacity for further dualling and electrification has been built in. 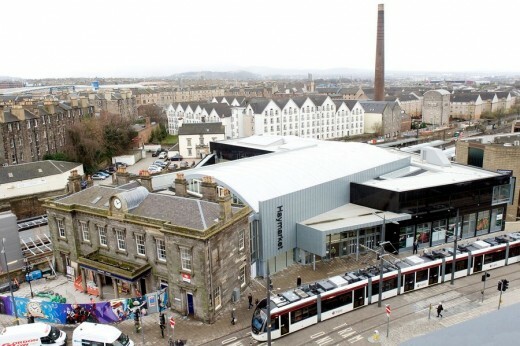 The railway follows 45 km of the original route and 5 km of new route, passing beneath Edinburgh City bypass before rising up over a new 90 metre bridge across the existing Lothianbridge viaduct and out into the country where some 95 bridges have been regenerated along with 2 tunnels and 42 new structures have been installed. This was a challenging project extending over a 30 mile distance from brownfield urban areas to outstanding areas of natural beauty. 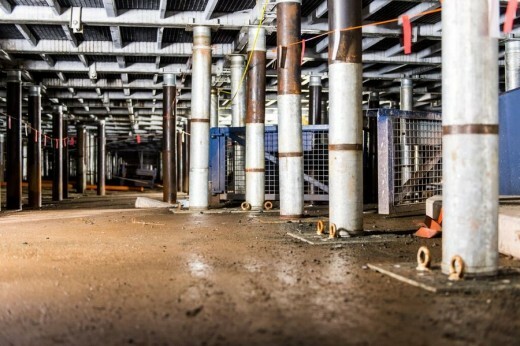 Every viable existing structure was retained after careful examination and survey. Tunnels and bridges were lowered to accommodate overhead line capacity. The project demonstrates an exceptional commitment to collaboration and coordination and communication with its stakeholders. The social and economic benefits the completed project will bring to the area it serves will be immense. 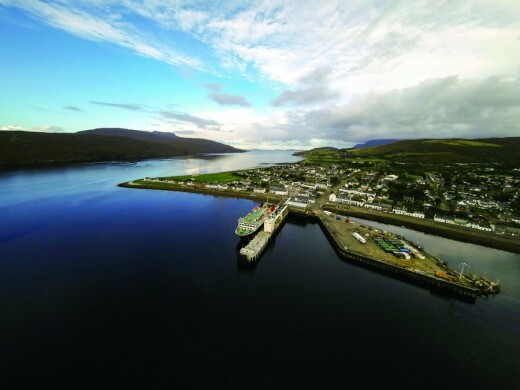 Client: Ullapool Harbour Trustees / Caledonian Maritime Assets Ltd.
An increase in traffic, following the introduction of Road Equivalent Tariff (RET) and the introduction of a new vessel, the MV Loch Seaforth, which is substantially larger in capacity and displacement tonnage than the existing ferry, were the key drivers behind this project. 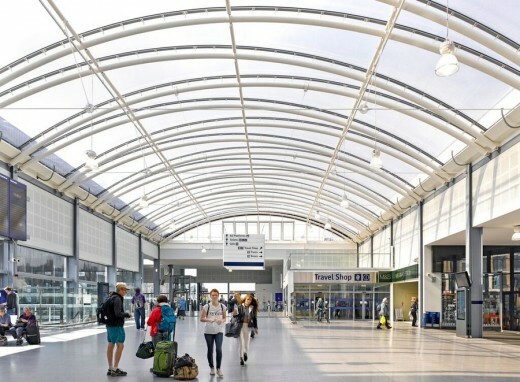 The initial design solution of a cross tied combi wall was abandoned when it became clear that up to 40% of all ferry sailings could be lost during construction of the pier extension resulting in unacceptable loss of revenue to local economies. 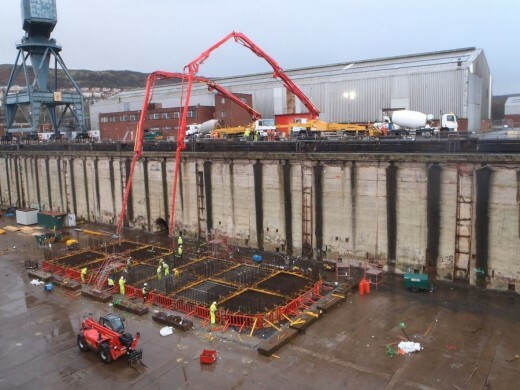 Lateral thinking led to the development of an ingenious solution – the offsite construction of a concrete caisson in Greenock which was then towed to Ullapool and sunk into position on the prepared sea bed. 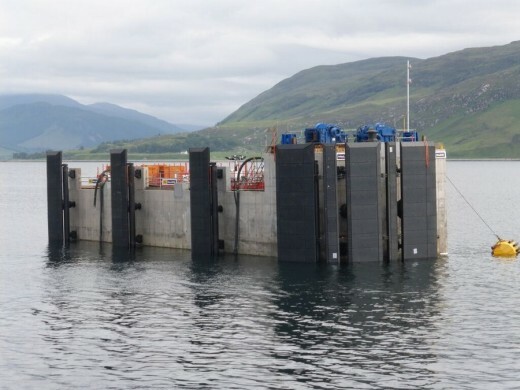 The successful preparation of the caisson foundation and the installation of the caisson at the first attempt without any disruption to ferry sailings are testament to excellent planning and the skills of the project team. 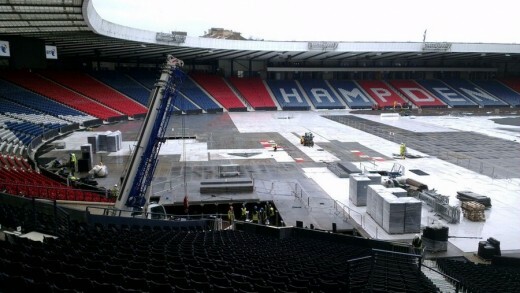 The temporary transformation of Scotland’s National Stadium to host track and field and the Glasgow 2014 Commonwealth Games closing ceremony was achieved by raising the playing surface by almost two metres, gaining the width and length required for an IAFF approved athletics track. 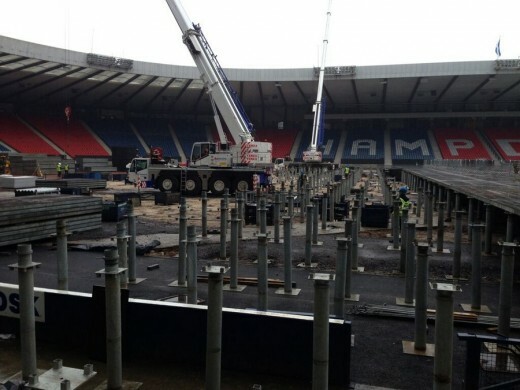 Engineers pioneered a raised deck sytem made up of 1,200 base panels supported by over 6,000 structural steel posts and weighing over 1000 tonnes. 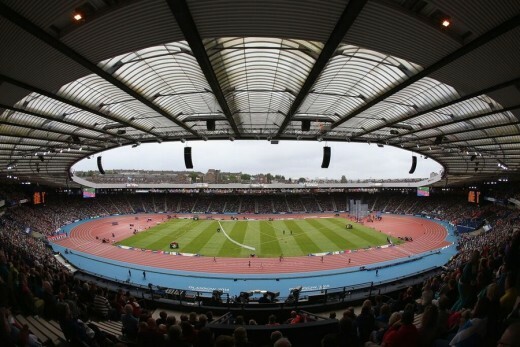 The first time this technology has been used on this scale to deliver a world class athletics event, the approach is already being termed as the ‘Glasgow Solution’ in worldwide athletics circles, with widespread interest in the potential it creates for a range of venues to host worldclass athletics events at stadia which are not purpose built. 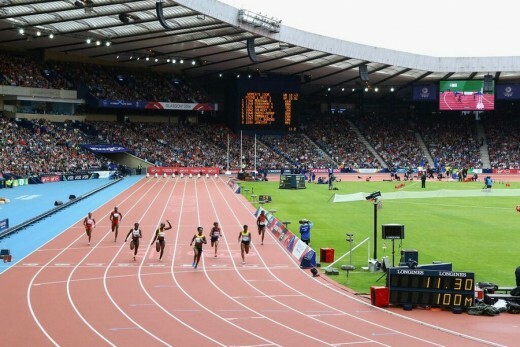 The effects of a small force event producing large movement were exemplified by the swaying of the Millennium Bridge in London, and the potential effects of resonance and frequency on the athletes was addressed thanks to an exceptionally high level of initiative and original thinking on the part of the designers. 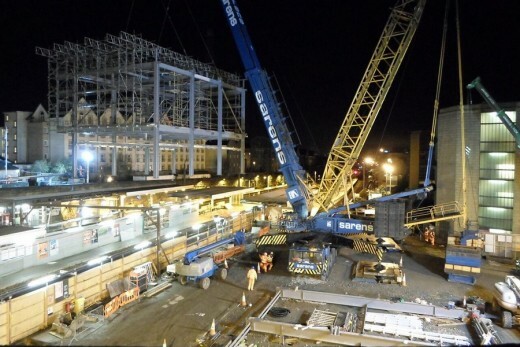 Contractors: Coffey Group, Morgan Sindall, McLaughlin & Harvey Construction Ltd. 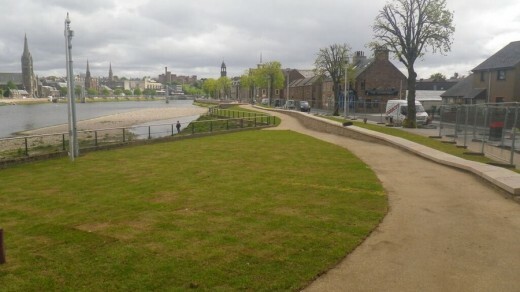 The River Ness Flood Alleviation Scheme provides flood protection to over 1000 properties in the heart of Inverness and reconnects the riverfront with the city centre. 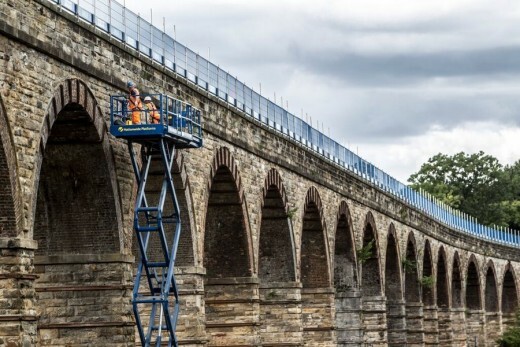 The historic riverside environment has been enhanced making it attractive and accessible and promoting active travel. 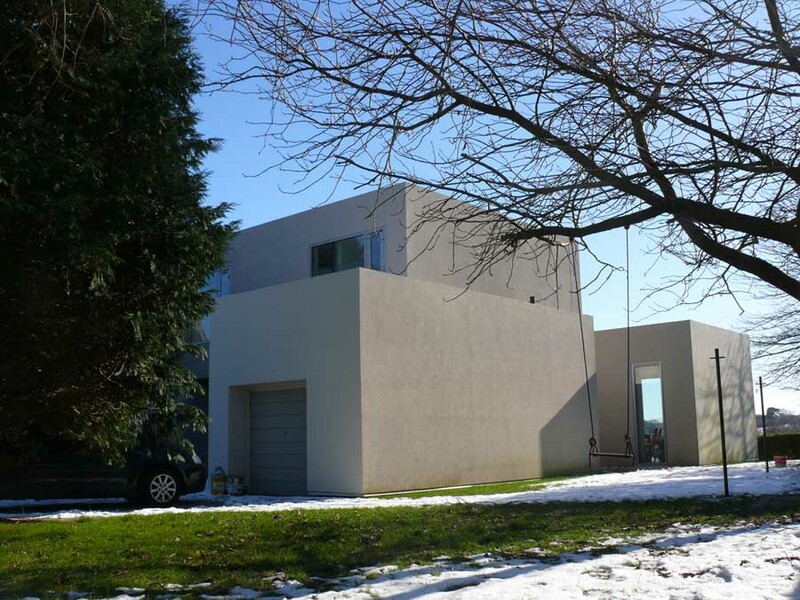 The primary flood defence is a number of reinforced concrete retaining walls with much of the hard engineering hidden under the new streetscape with mature trees and river banks retained to maintain the natural look of the area. 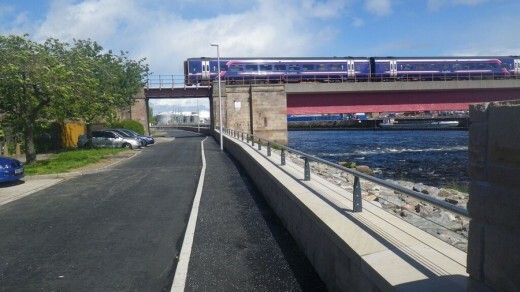 A practical civil engineered solution to a serious problem which is also an asset for Inverness to be enjoyed for generations to come. October 28, 2015 in Scotland.